THR was the first to report on Hamm and Harris’ casting. Although they could not provide any details on their roles, it looks like the two will be playing some sort of superior officers who will help train these young kids and whip them into shape. And it looks like that will be Parnell and Saladuhddin’s roles as well. According to Deadline, Parnell will be playing an admiral, while Salahuddin will play an engineer. McKenzie, who’ll play the daughter of Jennifer Connelly‘s character, who is described as a single mother and a bar owner. Variety says Barbaro will likely play Teller’s love interest. The remaining members of the new cast will likely play pilots. Lewis Pullman (son of Bill Pullman) will also be joining the cast. Although, his role has yet to be revealed. They all join Tom Cruise, who will be returning as Maverick, and Val Kilmer returning as Iceman. The young prodigies already cast include Miles Teller as the son of Maverick’s former wingman Goose, and Glen Powell (Set It Up). Although plot details are being kept under wraps, Variety says the plot of the film could revolve around a new era of aerial combat, where drones are taking the place of human pilots. 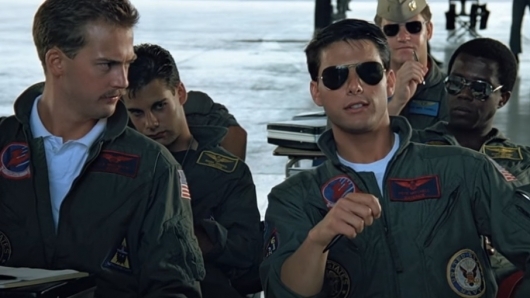 Cruise will play a flight instructor. While this is the first sequel to the film, it could be a moment in the franchise where we see the new generation take the baton from their predecessors. However, that has not been confirmed. And the idea of proving that man is better than an unpiloted machine seems a bit redundant. We’ve seen the “human instinct is always better” theme before. Directed by Tron: Legacy and Oblivion helmer Joseph Kosinski, with a script from Peter Craig, Justin Marks, and Eric Warren Singer, Top Gun: Maverick will open in theaters on July 12, 2019.